On this week’s show: Paul shares his experiences of working on the Wiltshire Farm Foods website, we examine the role of Twitter and Ryan Carson shares some more advice on building web applications. I am constantly amazed by the intelligence of those who listen to this show. The talent and knowledge of the Boagworld community is truly staggering. If you don’t believe me spend a bit of time in the boagworld forum. I am therefore looking to get more people involved in publishing to the Boagworld website. If you have an idea for a post that you think others will be interested in, write an outline and post it to this thread. If the idea is appropriate I will get in touch and arrange for your post to be published. Obviously, the post will be fully credited to you and will link to your site. Hopefully that will make it a worthwhile marketing opportunity! Talk to any designer and they will tell you about the importance of keeping a sketchbook. Ask that same designer whether they actually do it and the answer will probably be no. The most common reason for not doing so is a belief that you need to be able to draw to have a sketchbook. Believe it or not most designers cannot draw. According to Jason Santa Maria’s latest post “Pretty Sketchy” that is not the case. Sketchbook’s are not about being a good artist, they’re about being a good thinker. I have to agree. However, sketchbooks have always filled me with some trepidation. Although I know they don’t need to be a work of art, I still want them to be. That said, this post has inspired me to start keeping a sketchbook again. I know I am no longer what you would consider a designer, but Jason has made me realise that having an easily accessible place to keep ideas is worthwhile, whatever your role. I encourage you to read Jason’s post and do the same. When it comes to market support, I’ve often looked at it as one big pie. You may say that Opera is too small to really care about. It’s only 2%. You don’t care about Firefox 2 users. It’s only 2%. You may not care about accessibility issues. It’s only 2%. Soon enough, you’ve whittled down your potential market to 90% of what it could have been. This is certainly a slippery slope and one that I personally take very seriously, hence my posts on Graded Browser Support. However, as Jonathan goes on to point out, graded browser support is not without its problems. Although it is relatively easy to provide alternative basic styling to IE6 and below (thanks to conditional comments), it is much harder with earlier versions of Firefox, Opera and Safari. Personally, I am not happy to resort to browser sniffing and I am not sure this is a massive issue. Based on stats from sites we are involved in, most users of minority browsers (Safari, Firefox and Opera) upgrade to the latest version. In the end you can only test on so many browsers. The two articles that have most excited me this week both relate to website copy. As we have said many times before on this show, all too often website owners are willing to invest considerable time and money in getting design right, but largely ignore their content. If you are willing to pay a designer to work on your site, you should also be willing to invest in a content strategist. We kind of know that it lives somewhere between web writing, web editing, information architecture, SEO stuff, web analytics, and production. She goes on to demonstrate that websites need somebody capable of writing good copy but also understanding SEO, wireframing, marketing and much more. Of course, many people think they can write good copy themselves. They may infact be able to do so. However as Gerry McGovern points out in our second post about copy, good web copy writing is different from traditional writing. Your customer has walked into the elevator, the doors have closed, they turn to you and say: “Convince me before the next stop to buy your product.” Design your website from the ‘I badly need to go to the toilet’ perspective. Your customer needs to act and act quickly. That’s the Web. 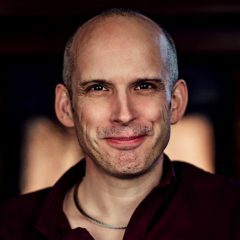 Setting aside the dubious toilet analogy, this is an excellent post that really makes you think about whether your copy is meeting users needs or massaging your own ego. Smashing Magazine have released a helpful article on help this week. It looks at the context sensitive help that is becoming increasingly prominent in web applications, ecommerce systems and forms. It outlines the obvious usability benefits and gives loads of examples of how context sensitive help can be implemented. There are no major revelations in this post but it is useful to see how others have tackled this issue and to be reminded just how important help is. It is too easy to address help as an after thought and so not properly integrate it into the design. As designers it is often not until a developer asks about error handling that we begin to start thinking about help messaging. We need to ensure it is apart of our design process and that the wording of these messages as well as their design is carefully considered. This week I would like to recommend Nudge on Audible.com, a book about influencing the decisions people make. Although not directly about web design it has had a profound influence on how I build sites. If you want to influence the behaviour of users then I would highly recommend this book. 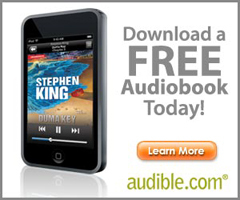 Best of all if you sign up with Audible you can get this book totally free. Simply go to www.audiblepodcast.com/boagworld and claim your free credit. If you want to listen to it, Audible has it! With over 60,000 titles and virtually every genre, you’ll find what you’re looking for. Get a free audiobook and 14-day trial today by signing up at www.audiblepodcast.com/boagworld. Ryan Carson: Hey Everybody, this is Ryan Carson one of the founders of Carsonified.com today we are doing are second instalment of five minute Web App tips for Boagworld. So let’s get started, the first thing I’d say is do not build your billing system from scratch. Now, if you have a Web App that does recurring billing, so you are charging someone’s credit card every month there is quite a bit of code to write for that. When we built dropsend.com there was at least 1200 lines of php code in order to do that, and it’s a very difficult problem to solve. You have to do things like charge someone’s card if their card has been cancelled, send notifications, try to bill them again and in seven days bill them again, another seven days keep track of invoices, cancel them if they cancel their account. It is just a real headache and there is a lot of stuff that can go wrong with that. So, I would say you should outsource something like that to spreedly.com. Basically it’s an API web service that does recurring billing for you, so give it a try. I don’t work for them; I’m not being paid to say that, I just think it’s a good idea. And y’know if you ever decide to switch out of Spreedly the nice thing is that you’ll make a series of API calls out to the service and all that you’ve got to do is bill those services internally if you decide to do so later. So it’s definitely important not to waste time doing that from the beginning. Also, some people may say “Well, what about the fact they are going to take a part of your revenue?”. Well, the truth is, your bank is going to take that cut anyway, so you might as well have Spreely take that cut, there really is no loss there. sign-up. So that was really interesting. Okay, another tip for you is, I would suggest creating a new company for your Web App. The temptation would be to launch it as a service of your current company. So for us, when we launched Dropsend.com it was owned by Carsonified. But when we sold Dropsend it was really hard to extract out that company from Carsonified. So if we had started Dropsend Ltd. or Dropsend LLC it would have been a lot easier to do that. So I would just set up a fresh company from the beginning, it can be owned 100% by your current company which will make selling it, if you ever sell, a lot easier. Thanks goes to Ben Hardcastle for transcribing this portion of the show. My question concerns morality and twitter, an odd combination I know. I have several bots on twitter, all day long they download RSS feeds and then tweet links to new articles. A good example would be @design_agg which reads design websites such as Boagworld, it then tweets the relevant links to the post and the post title. There are other bots like them, for example I know that @stanton maintains the @boaglinks bot. Of course, none of these bots create content, they simply link to it. The question is, is this wrong professionally and is it wrong on a social level? For a list of the bots, just look at who @design_agg follows. Hello Mr Paul Boag, this is Jimmy Nightly from the Swedish online auction site jiiro.com. I’ve recently been following Amazon on Twitter and they’re using several feeds to draw traffic to current campaigns. Their feed Amazon Deals has only 8000 followers and to me it just doesn’t seem that much compaired to how big Amazon really is over here. My point is, if they only have 8000 followers do you then think Twitter is a marketing tool for the future? Both questions revolve around the subject of automated twitter accounts. These are accounts where the posts are automatically generated rather than the thoughts of a particular individual. Our first question is concerned with their morality and the second is concerned with their effectiveness. Both valid concerns. The fact that Boagworld runs an automated twitter account posting web design related links shows that I do not have a problem with their morality. However, I understand that others do. Let’s look at two potential criticisms. They are not in the spirit of Twitter – Some argue that Twitter was not created as a broadcast tool and should not be used in that way. Twitter is about community not news/announcements. Although I do agree with this point to some extent (as you will hear later) I don’t think the argument ultimately stands up. Strictly speaking Twitter was created for people to post ‘what they are doing’. In reality it is rarely used in that way. Twitter has grown to be much more than originally intended and a broadcast mechanism is a part of that. They steal content from others – The second concern is that they are regurgitating content created by others. They are not in themselves creating value. Again I would disagree. Their value comes in the time saved for the reader. Instead of having to manually check sources, they are presented with all they need to know in a convenient form. In my mind it is no different from an RSS feed on Delicious or the news section of this show. In the end, if people do not like these ‘bots’ they can unsubscribe. However, some do find them useful and there is no reason why they should be denied their services. Of course, they may provide value to the subscriber, but do they provide value for the owner. Are automated twitter accounts an effective marketing tool? Jimi’s question calls into doubt the effectiveness of Twitter as a marketing tool, citing the Amazon Twitter account as proof. It is remarkable that Amazon only have 8000 followers on this account but it is worth noting that their Amazon MP3 account has over 300,000. However, it is not the specifics of Jimi’s question that I would challenge. It is the entire premise. To me, if Twitter is used well, it can be a lot more than a marketing tool. Companies like Amazon are failing to grasp the full potential of Twitter because they are using it as a broadcast tool, rather than a way to engage with its users. Unfortunately using Twitter to publish automated ‘feeds’ fails to reap these benefits. It in no way engages with followers. It only broadcasts. Only by engaging with their followers will organisations really reap the benefits of Twitter. Companies like Zappos or Omnigroup are leading the way in this by using Twitter to provide support, inform their future products and engaging with their community.